1. They really pride themselves on their achievements. They don’t need second-hand validation. When they know they have something worthwhile on their list of merits, they recognize it. Unlike the majority of anxiety-ridden children who take all form of communication, seeking validation, seeking love, Leos are self-sufficient in that department. They value themselves and hold their self-respect above everything else. This is not limited to financial donations. They actually open their heart quite wide in order to accommodate anybody who needs love and affection. It is also true of their hatred. Should they realize that you have spurned them, then they will give you a quite generous dose of their revenge. 3. They pick the best. Be it fashion, furniture, life decisions, or even people, you will never be able to outdo Leo’s choice. You might disagree with them, but rest assured that circumstances will bring you to concede really soon. Don’t even try doubting their flawless decision-making skill. It is divine. Irrespective of their cockiness, a fact is a fact. They assume the spotlight, wherever they go. It is not like they have to steal it from somebody. If a Leo was to go to Windsor Castle, the Queen would probably vacate her own seat for him. People willingly hand over the mic to him, whenever he is around. He is either the one speaking or the one whom the speaker is trying to impress. 5. They make good leaders. Their stubbornness comes handy in the domain of professional endeavors. Irrespective of the size of the team, they will build a very strong base. It will be nearly infallible, as much as human beings can go. They have the rare ability to hold a diverse team together. People like him, and he knows how to use it to his own advantage. 6. They take on responsibility and deliver as well. Even though child Leos may be been useless, they mature into great workers. They love being in the powerful position, and so assume leadership voluntarily. Their zeal to be ahead of everybody else ensures their adherence to deadlines. They are basically the employee that every firm dreams of. They also put their heart and soul into whatever project they undertake. Half-hearted results are not their cup of tea. 7. They make great oracles. 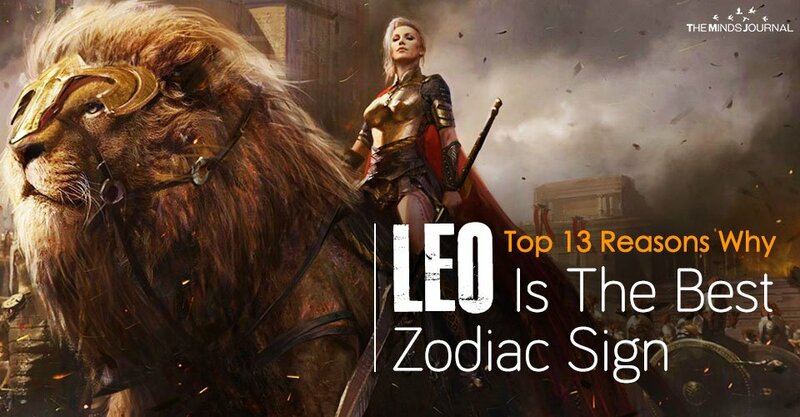 Leos like talking. That is absolutely no secret. But mostly, their words carry an immense amount of wisdom. You can always count on them for brilliant advice. They will not fail you. Sometimes, the words might be hard to register, but they are worthwhile all the same. Leos have a tendency to be dramatic about their predictions, but if you can ignore that, then you will be left with a very clear message. It will point you in the right direction.